As a provider of health services pharmacy in New Jersey, your overall health is our concern. So we share with you this quick overview about high blood pressure. When our heart beats, it pumps blood into different parts of the body to distribute the oxygen and energy it needs to function. As the blood moves, it drives against the side of the blood vessels. The force of this pushing is known as the blood pressure. A high level of blood pressure can put an added strain on your arteries. As a result, heart attack and stroke may occur. This is why it is important to keep your blood pressure as low as you can. The higher the blood pressure, the higher the risk of health problems. 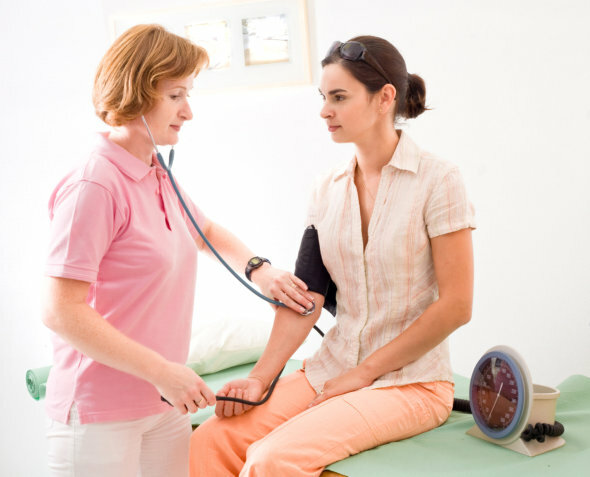 Having a high blood pressure is not something you can easily notice. Most people with high blood pressure experience no signs or symptoms even if the pressure reaches a dangerously high level. The only way to be certain if you have a high blood pressure is for it to be measured. However, it is important to understand that a single high reading may not necessarily mean you have high blood pressure. A lot of factors affect your blood pressure throughout a day. This is why a healthcare professional will take multiple blood pressure readings to see if it stays high over time. If you wish to get tested, our community pharmacy in Jersey City, New Jersey offers free blood pressure testing. Just approach any of our available pharmacists for a blood pressure testing. The risk increases as you age. You are more likely to have it if you have a family history. The more you weigh, the more blood your body needs to supply enough energy and oxygen. As the blood volume increases in your system, so does the pressure inflicted on the artery walls. Using tobacco spikes blood pressure temporarily. However, the chemicals in it damage the lining of the artery wall permanently. This narrow downs the arteries thereby increasing the risk of a heart attack. Using too much salt causes the body to retain fluid which increases blood pressure. Potassium keeps the amount of sodium in cells in check. If you lack potassium, sodium accumulates in your blood thereby increasing blood pressure. You can help lower your blood pressure by controlling risk factors. Make the necessary lifestyle changes to protect your health. To learn more about how to effectively manage high blood pressure, drop by at Do not hesitate to drop by at Palace Drugs and Liquors for a consultation. This entry was posted in High Blood Pressure and tagged health, health problems, health services, heart beats. Bookmark the permalink.